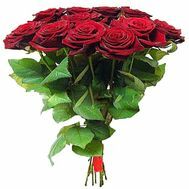 Roses are the oldest flower in the world, which has the longest and most thorny history of becoming. 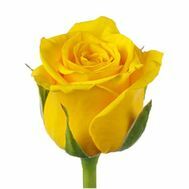 Once he was worshiped by kings, aristocrats considered it their duty to make him their own coat of arms, while others were afraid to grow them in their gardens, because this was the privilege of the best and most notable people. 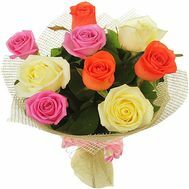 She became the ancestor of the language of flowers, thanks to her many other colors were produced, in many respects similar to her, but having her own, special flavor. 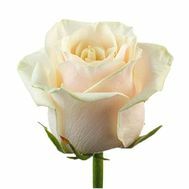 Elegance, luxury and elegance - that's how they describe this flower from ancient times to this day, when it remains as beautiful, enchanting and mystical. 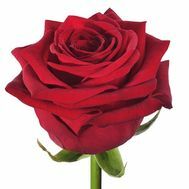 The royal flower has always been a cult gift, the most expensive and most desired. 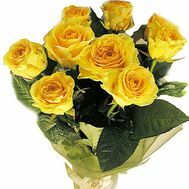 After all, it is her buds that are considered the most romantic among all floral presents. 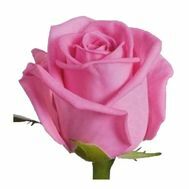 It is this flower that most often appears in romantic films, advertisements and books, when it comes to love. 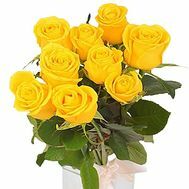 And it was the roses with its charming beauty that captivated many poets, becoming their muse and inspirer. 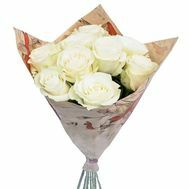 They and to this day have a frenzied popularity, and the bouquets from this royal flower are the most bought and most desired in any floral salon. 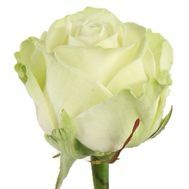 This royal flower has, perhaps, the largest number of varieties: more than 10 000! 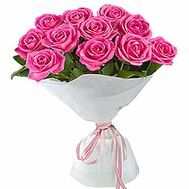 All of them are beautiful in their own way and many of them found their place in our online store. 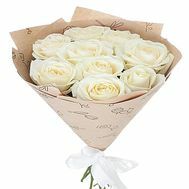 White roses: white roses emphasize modesty, innocence and tenderness of your senses. 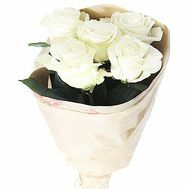 You can order beautiful roses for any reason, because the classic is always relevant and will never go out of fashion. 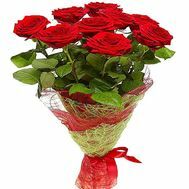 For example, a bouquet of 101 roses will suit a beloved girl as a confession of feelings. 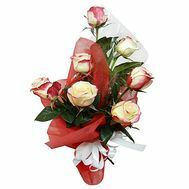 If you want to emphasize the importance of relationships and beauty - buy a strict bouquet of roses for your mother on the anniversary. 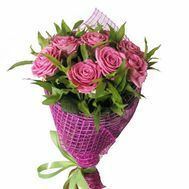 It is best to say about your love a bouquet of a favorite for a birthday, made in light, peach or pink tones. 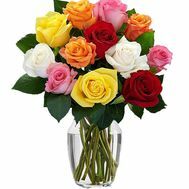 Beautiful flowers are also a great gift for a man. 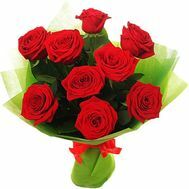 Roses are usually given to colleagues, bosses and even beloved husbands on their holidays. 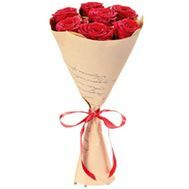 We have been working since 2008, providing our services to everyone who wishes to please their loved ones with a beautiful floral gift. 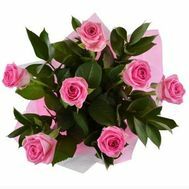 We already have more than 20,000 customers who have experienced the advantages of courier delivery of flowers from our store. 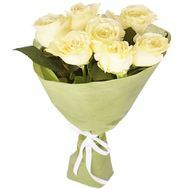 We always provide a 100% guarantee for the quality of flowers that we use in our bouquets and compositions. 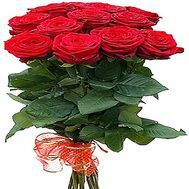 And above them are working only the most experienced florists from all over Ukraine. 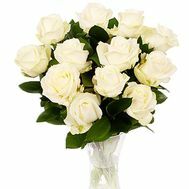 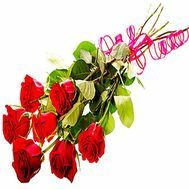 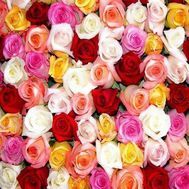 We can order roses with delivery to any city and any time that is convenient for you. 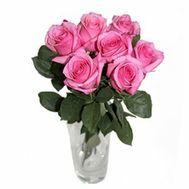 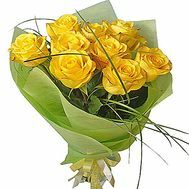 We also carry out free delivery of flowers in large cities, and our couriers are able to bring a gift to any part of Ukraine. 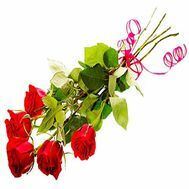 In our store there are always the best promotions and discounts that will allow you to buy cheaper those presents to which the soul lies. 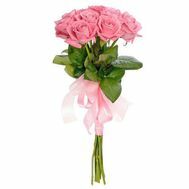 Each buyer receives a discount of 5% from the first purchase, and with each purchased bouquet it will increase. 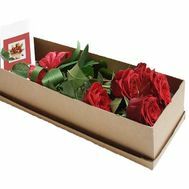 Roses with home delivery are our version of the best, brightest and most attractive, memorable presentation for people who are deep in your heart. 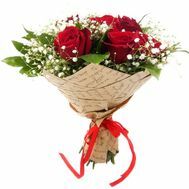 After all, what could be better than beautiful, properly selected and correctly decorated in a bouquet of royal flowers? 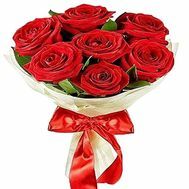 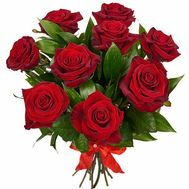 Hurry up to buy roses with a delivery for your beloved in any corner of Ukraine right now!